The Bubble Bursts in the $300 Mega Stack Event! 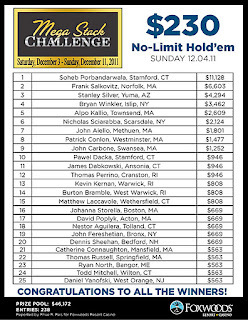 The money bubble has just burst in the $300 Mega Stack Challenge event and all players are now in the money. With 70 players remaining, the average chip stack is now 140,000. 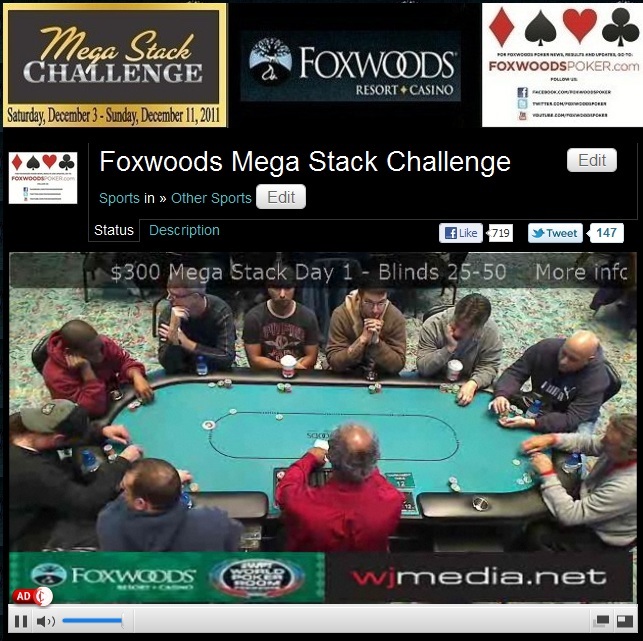 The players in the $300 Mega Stack Challenge are now on a one-hour dinner break. There are 135 players remaining and the average chip stack is now 72,400. 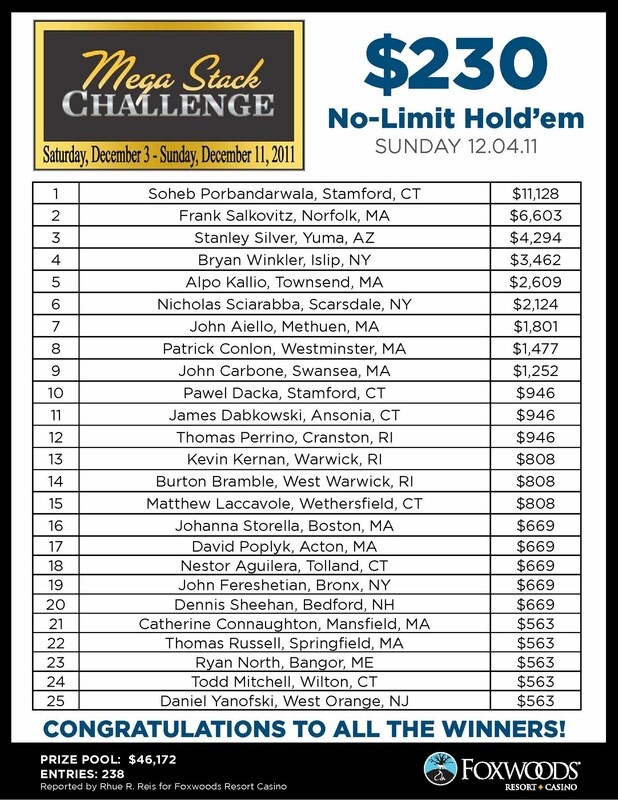 James "jcamby" Campbell is near the top up the leader board in the $300 Mega Stack Challenge. With 181 players remaining, Campbell has built his stack up to over 200,000 with the chip average at 54,300. The blinds have just been increased to 1,000-2,000 with a 300 ante. 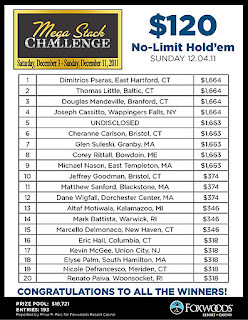 We had a total of 652 players in the $300 NLHE event at the December Mega Stack Challenge. Over 600 Players in the $300 Mega Stack Field! With registration still open, there are already over 600 players in today's field. Final payouts will be posted as soon as they are made available. $300 Mega Stack Now Streaming Live! 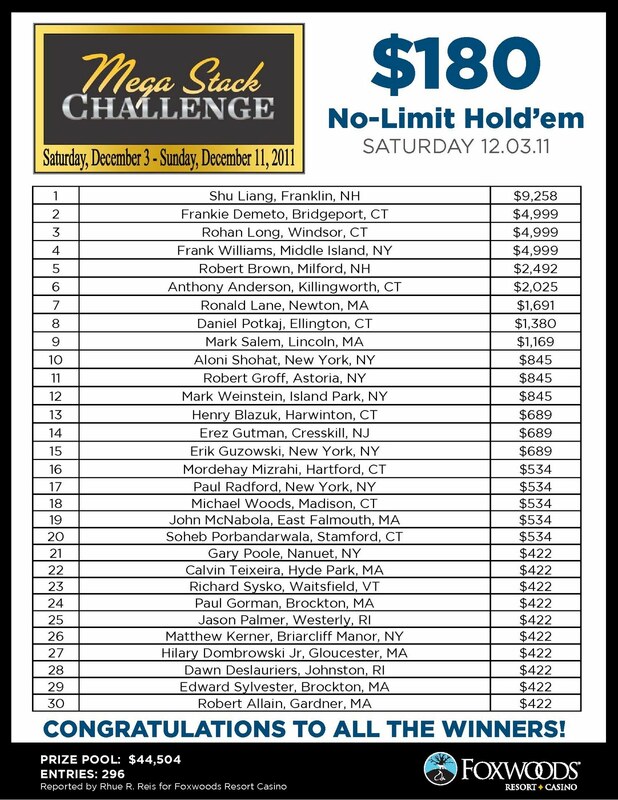 The $300 Mega Stack Challenge event is now underway. Players start with 15,000 in chips and the levels are 30 minutes in length. 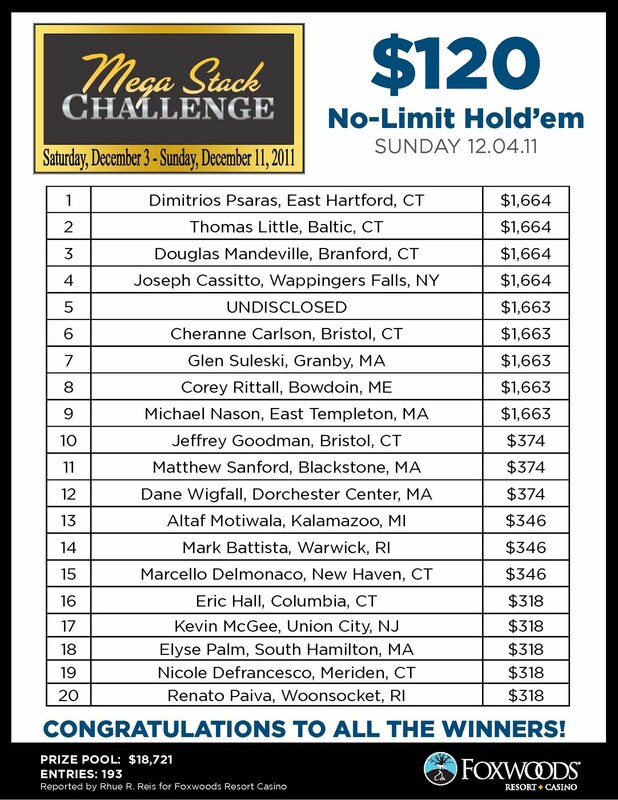 There is a $125,000 guaranteed prize pool on this event.